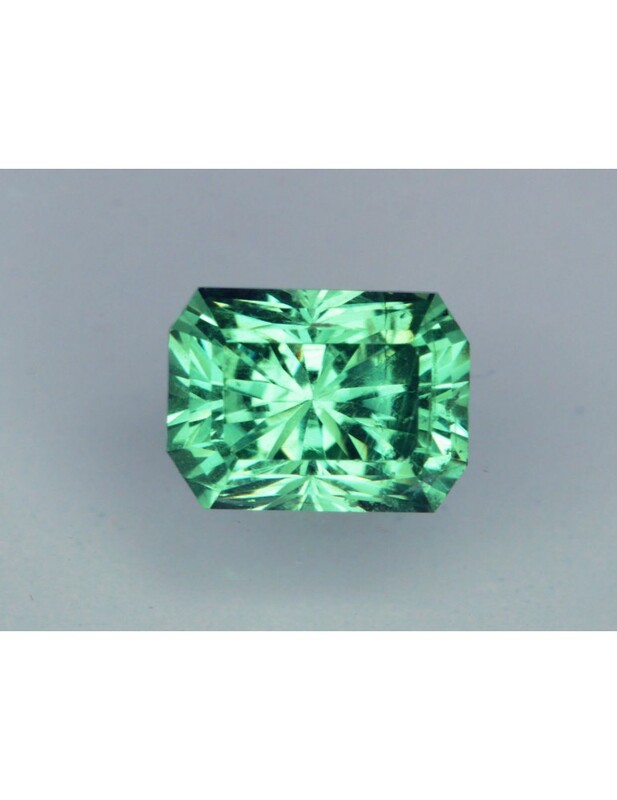 Notes: This custom faceted barion emerald tsavorite was mined in Tanzania and tone is medium. 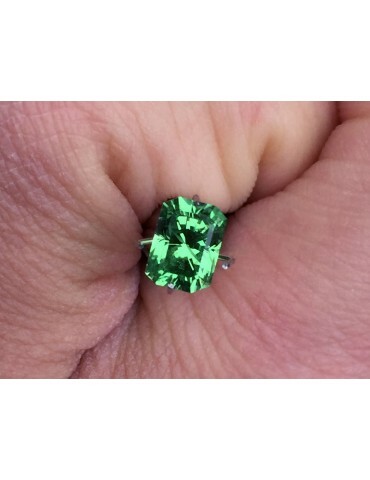 Stunning color that appears to glow especially in natural light. With this color it is difficult to capture the glow it produces. Clarity is VS with very small inclusions that are difficult to detect with the unaided eye that does not affect the brilliance of the stone.